August 9, 2015. 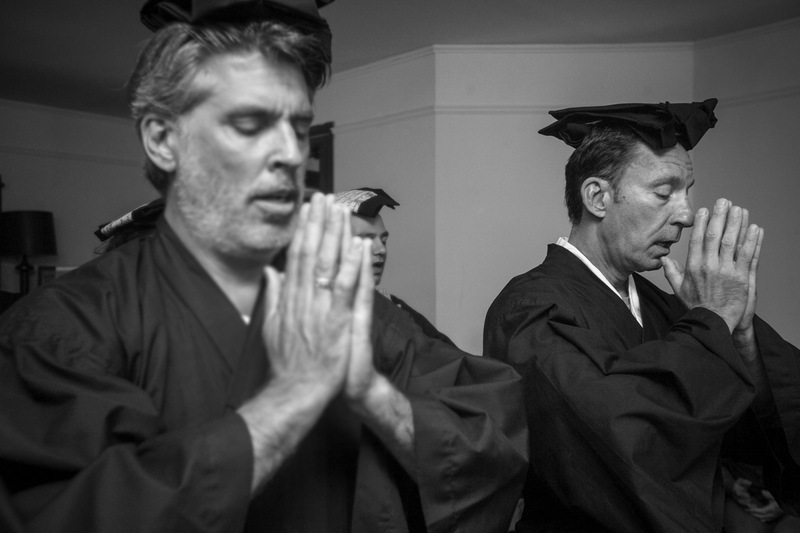 Jukai, a ceremony for new Zen students to commit to observing the precepts. 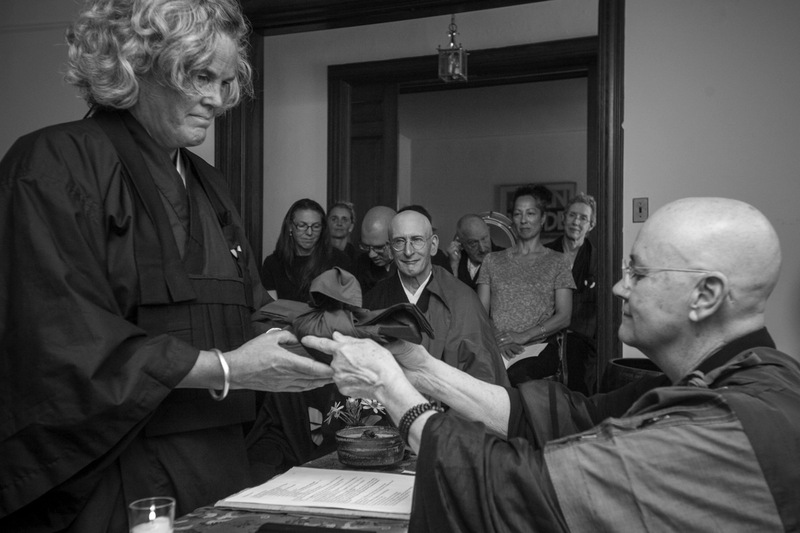 The Village Zendo holds the ceremony each summer at a house we rent in upstate New York. 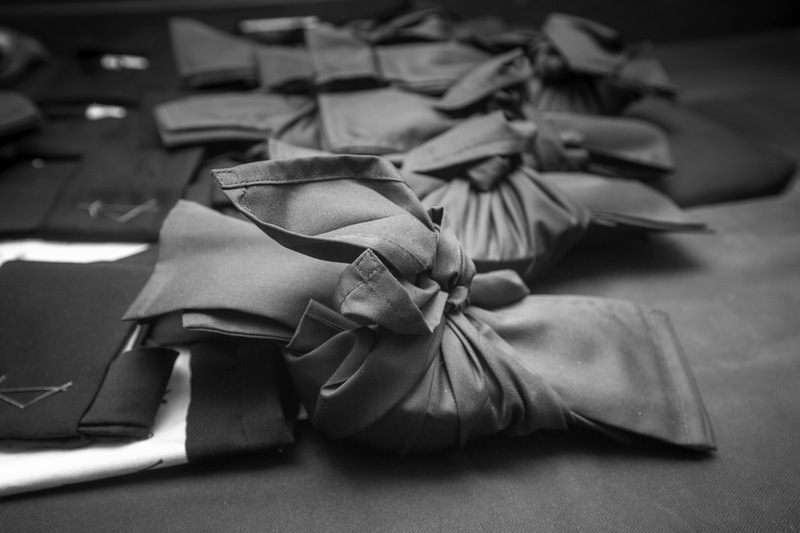 In preparation, each of the ten students sews a rakusu, a small Buddhist robe. 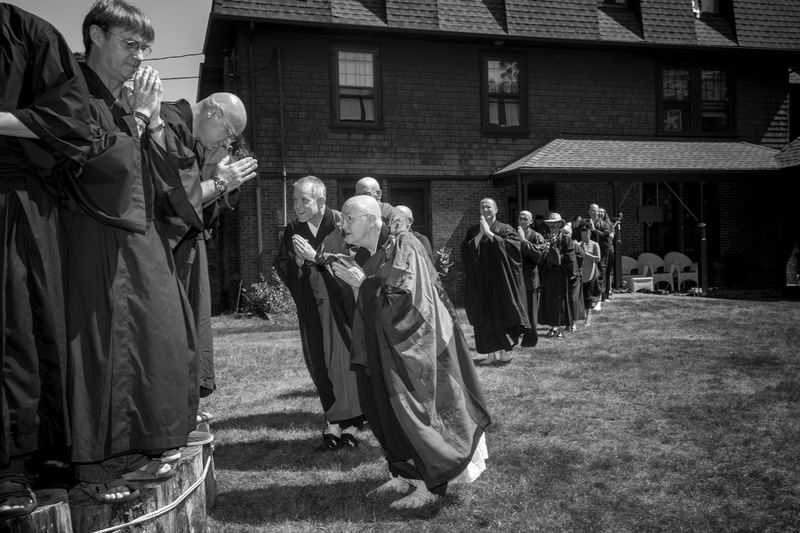 During the ceremony our abbot Enkyo Roshi anoints each student with water from a pine sprig, representing wisdom. She gives the student a lineage chart, a set of bowls, and a new name. 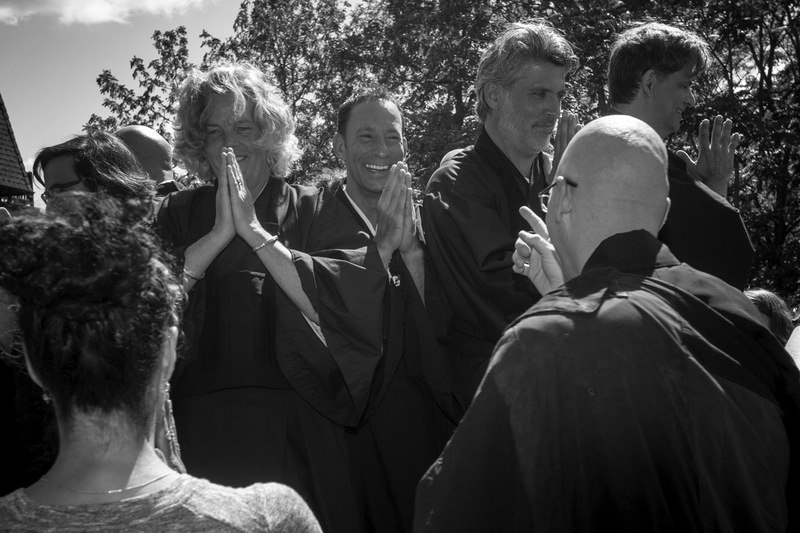 At the end, all the sangha members file past the jukai recipients bowing to each, chanting "Buddha bows to buddha, and buddha recognizes buddha." Seizan strikes the bell to announce the beginning of the ceremony. 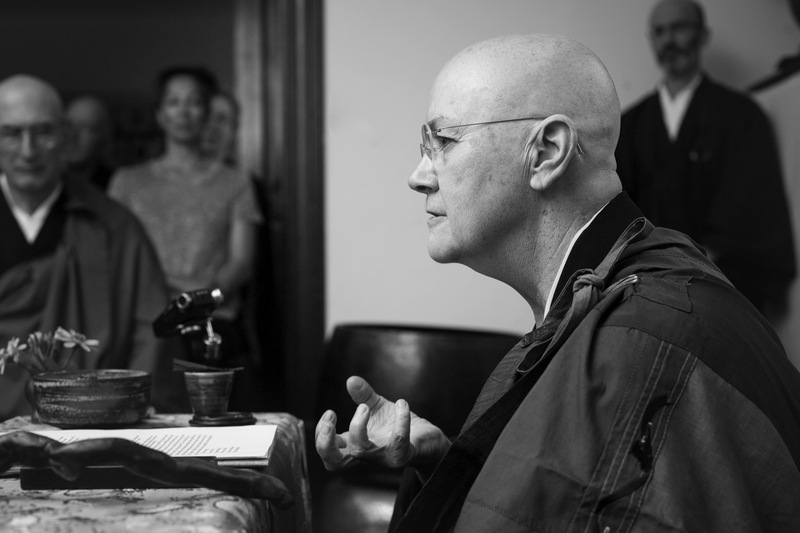 Chanting the Verse of Atonement in preparation for receiving the Zen ethical precepts. 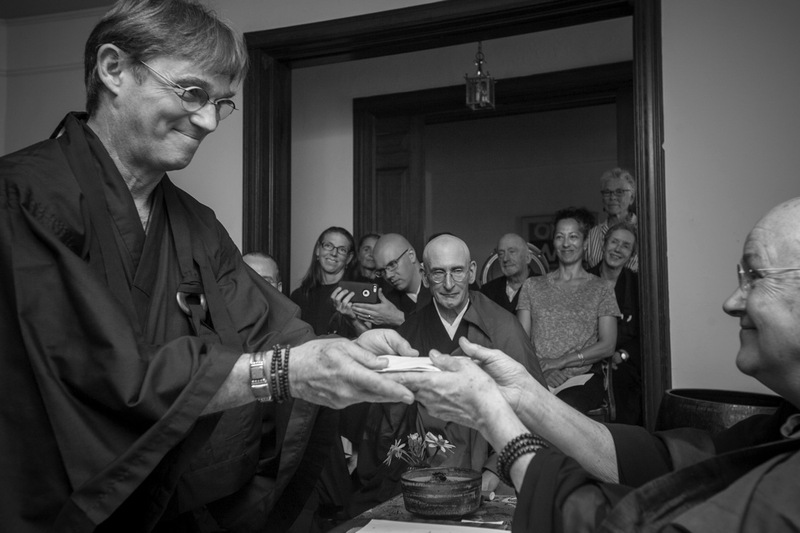 Kosho receives from Enkyo Roshi his lineage chart, placing him in a line of Zen teachers and students. 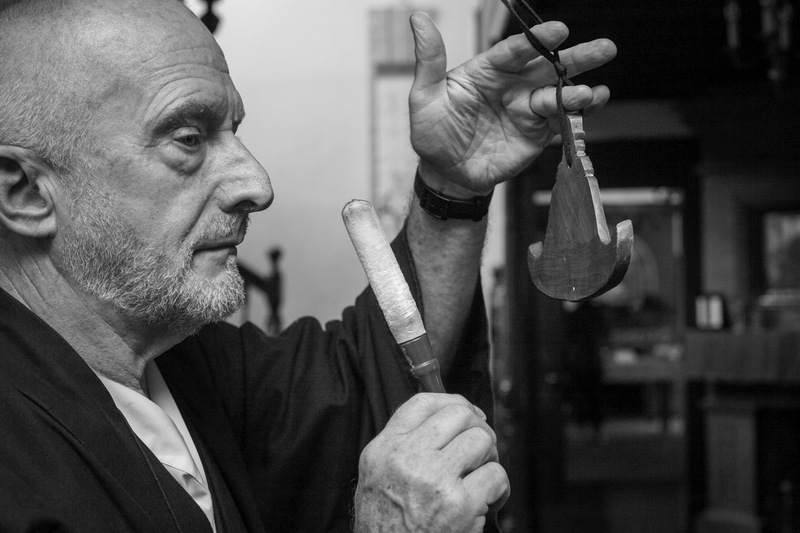 The monks' bowls for eating in the oryoki style, given to each new jukai recipient. 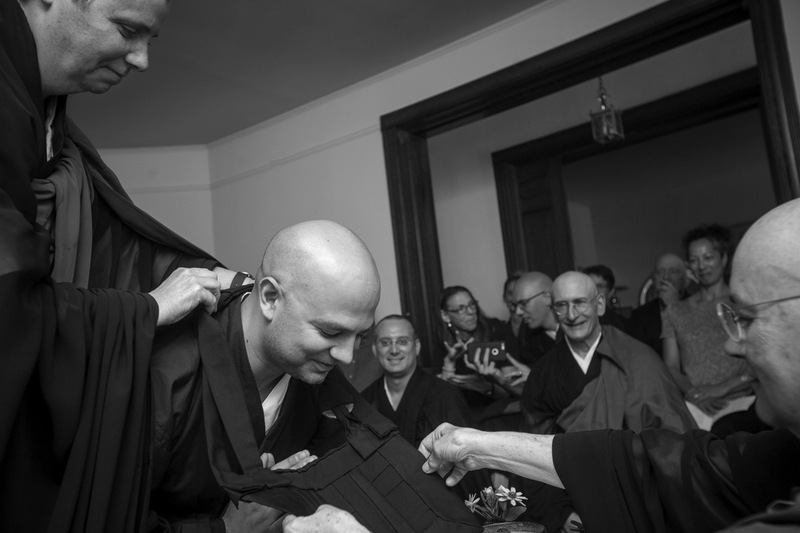 Enkyo places on Muka his rakusu, the small robe that he sewed for himself over the past month, which now bears an inscription with his new dharma name and the official stamps of our Zen temple. Shutoku receives her eating bowls. 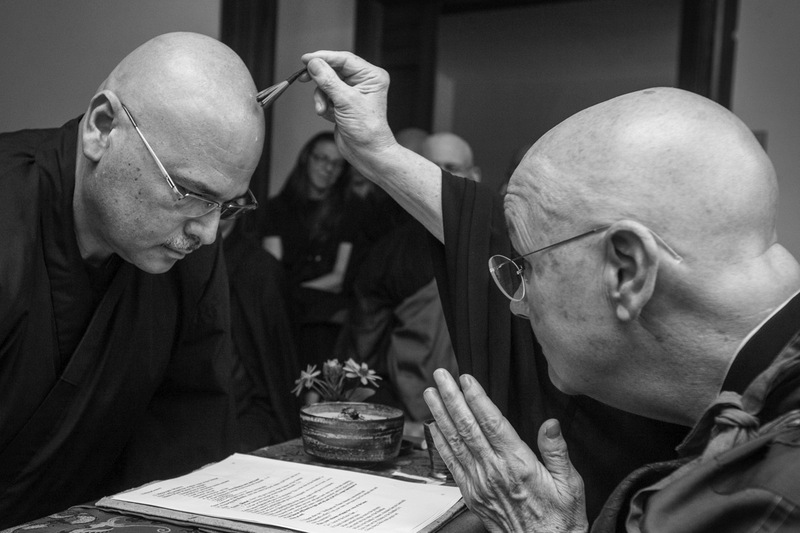 Enkyo Roshi sprinkles the water of wisdom on Gyoku's forehead. 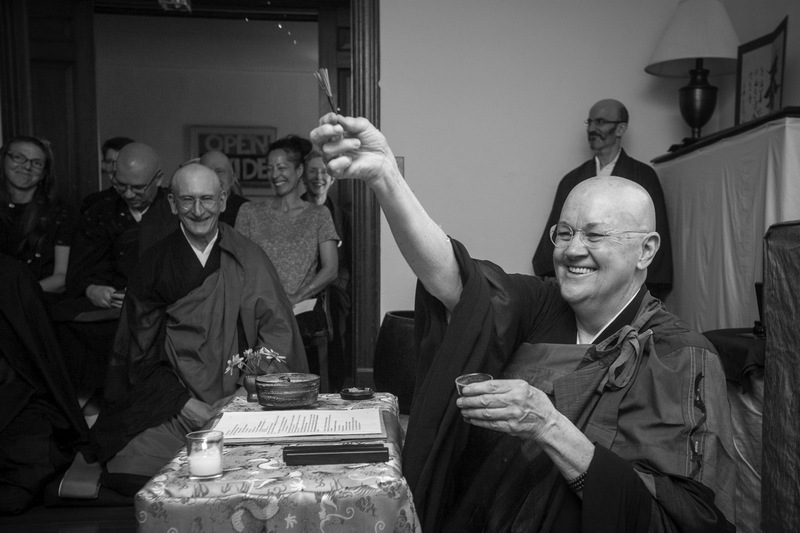 Roshi sprinkles the rest of the sangha with the water. 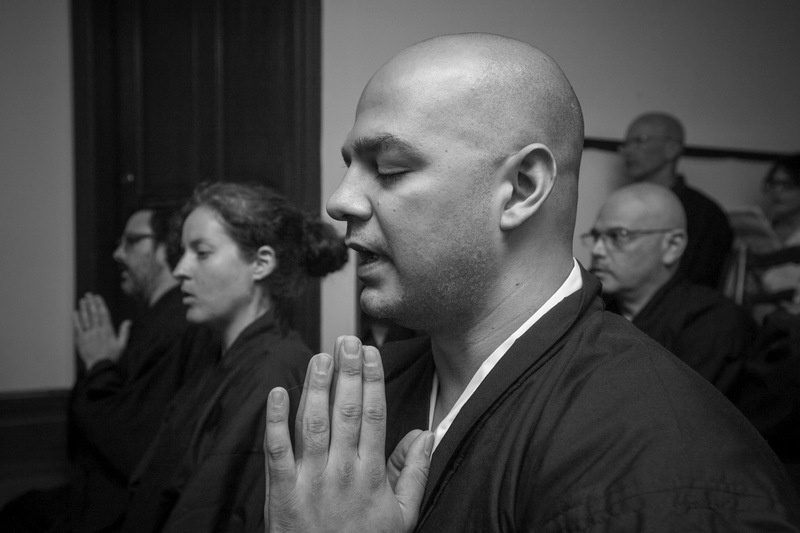 Jukai recipients chant the verse of the kesa, the monk's robe. 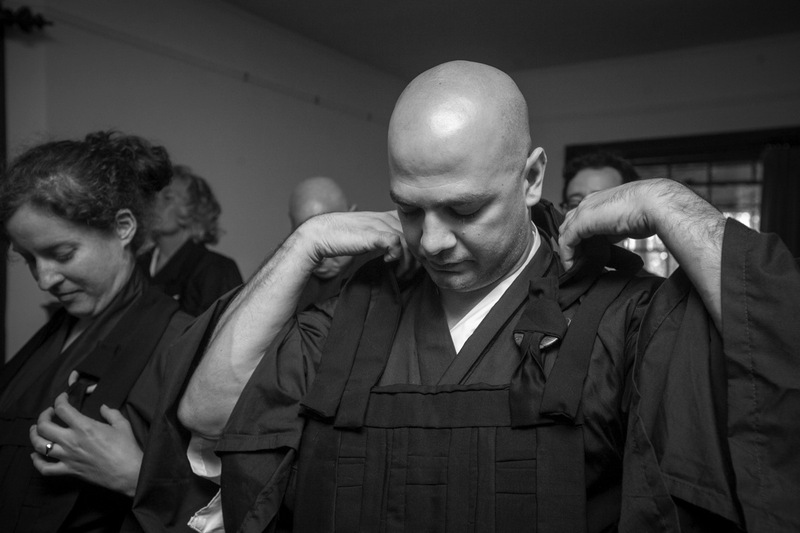 Muka puts his rakusu on. 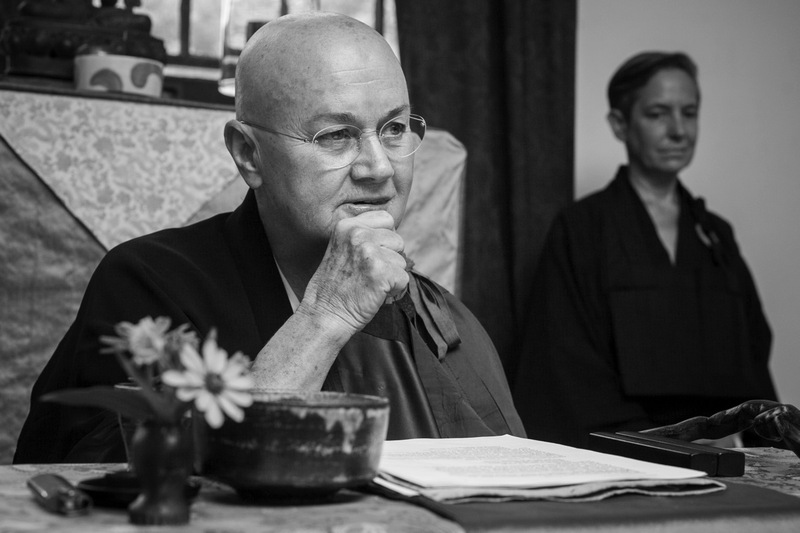 Enkyo Roshi checks, "Will you really uphold the precepts?" 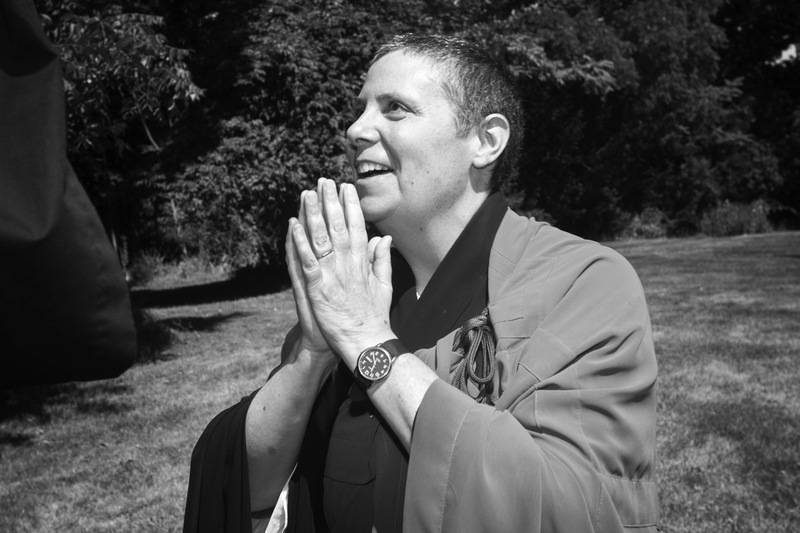 Enkyo Roshi explains the meaning of each new dharma name. The community recognizes our new members. 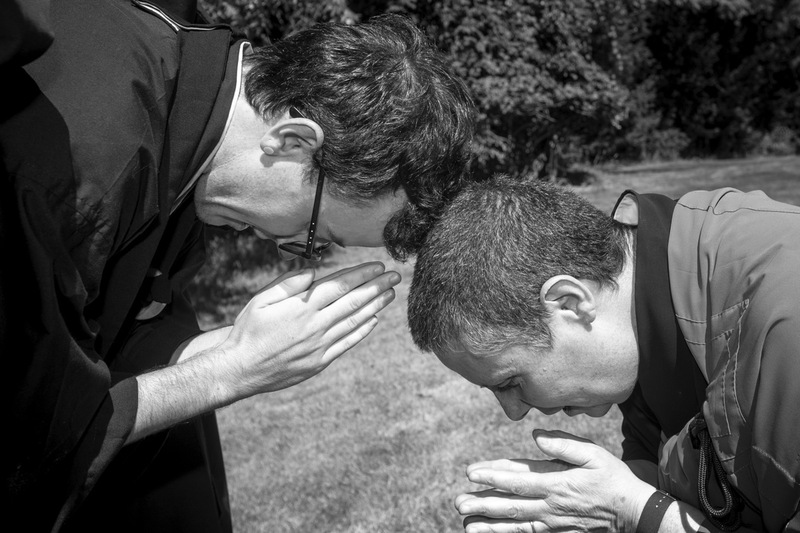 Myoko Sensei and a new member, Giyu, bow to each other.